Back in February, I was able to write for the first time on the Who's Who and Who's New blog! Here is the activity that I shared! Hello! I'm Allison from Stuckey in Second. 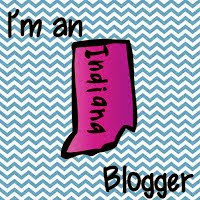 I teach second grade in Indiana. 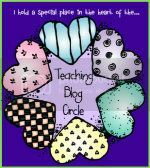 I'm so excited to be part of this collaborative blog and today I'm going to share a recent persuasive writing unit that we worked on in my classroom. It was my first time teaching it and it turned out to be a lot of fun for the kids. It was one of those units/lessons that just kind of emerged as we went. I had a "plan" of teaching them how to write persuasively, but it turned out much better and more fun than I had planned! To start out, I had found this concept of using OREO to teaching opinion/persuasive writing and I found a free graphic organizer already created on Teachers Pay Teachers. (Score!) Thank you Michelle Thom! The organizer works by having students list their opinion first, then three "re"asons, then the opinion again at the end. This graphic organizer really helped me plan what I wanted to look for (and what I wanted to tune my students into looking for) in the persuasive read alouds that I shared with my students. We read a few read alouds together that had been suggested to me for good persuasion examples. I'd suggest these as well! 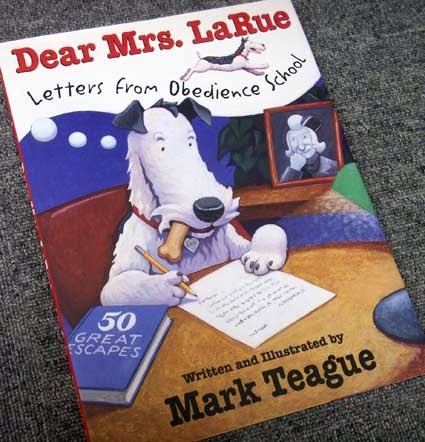 After reading Dear Mrs. LaRue, we worked together to complete an anchor chart that listed all of the ways that Ike persuaded Mrs. LaRue into bringing him home from obedience school. This was a pretty basic activity, recalling events from the story, but we were still working on recognizing persuasion when we read it. Not only did the kids love the books, but they led me into a good idea for their own persuasive writing. We decided to first try to persuade the teacher to let us have a pet in our classroom as a shared writing. (Yes, I'm the teacher, but I worked with them as a shared writing, so I was more like one of them!) Then, after we pretended the teacher said YES, I had them write persuasive letters on their own that persuaded the rest of their class which kind of pet they should get in their classroom. We had so much fun!!! Let me lay this out in more of a step by step manner. I'm going to label it in parts, which could be separate days for you, depending on how long you spend on writing in your classroom. 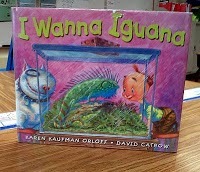 Part 1: Read aloud and discuss I Wanna Iguana. Create an anchor chart that lays out how the character persuaded his mother into adopting the iguana. Part 3: Use the OREO planning sheet to assist in writing a letter to the teacher with all of the key points that you want to make. Part 4: Explain that now that they have persuaded the teacher into letting them have a class pet (she said YES! ), now they have to persuade a different audience! They now need to plan how to persuade their classmates into which type of pet they should get for their classroom. Here is where it can get really fun. Some of them had some funny reasons and some really funny ideas for pets! Part 6: Create final product. It's been wonderful sharing with all of you today! I hope that this can help you out in your classroom, regardless of the grade level! I always love when I find a lesson that is so much fun to teach. If you are more interested in what I do in my own classroom, please visit my store. I have created a lot of literacy and math centers and games for my students. 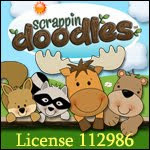 I also have a lot of freebies in my store that may be helpful in your classroom! Click below to go straight to my TpT Store!